Whilst ringing on 25 April I saw an unusual warbler in the tamarix scrub near to the main reed beds at Sabkhat Al Fasl where we were ringing. I flushed what turned out to be a Basra Reed Warbler Acrocephalus griseldis from a small tamarisk bush next to the reed beds into one of our nets, and this constituted the first record of the species for this site. The status of the species in Saudi Arabia is little known although in nearby Kuwait it is regarded as a common passage migrant and summer breeder and is one of the few places in the world to find this range-restricted species where birds are usually confined to reed beds. Heading south from Kuwait in Bahrain it is a vagrant with one record of a bird trapped and ringed by Brenan Kavanagh 20 May 2011 at Ali Experimental Farm, in the UAE it is a vagrant with one record 26-27 April 2010 and there have been no records from either Qatar or Oman. I have only seen the species twice before on my local ‘patch’ with both birds seen in September in 2012 & 2013 although up to four birds were recorded in September around phragmites and small ponds during a number of years in the late 1990’s and another five birds were seen at the same site between 22 April & 27 May 2004. Other birds from the Eastern Province include three trapped and ringed in the garden of the Holiday Inn Hotel at Jubail on the Arabian Gulf coast 15 April 1991, 1 May 1991 & 4 May 1991 and at Tanajib (north of Jubail) four were trapped and ringed 5-7 May 1991. Furthermore in May 1991 there were several sightings at Jubail, Tanajib and Taraut (near Qatif) with birds seen at Tanajib daily between 18-27 May with up to four seen on 23 May. These constituted the first records of the species for the northern part of the Eastern Province. It was regarded as a regular migrant between 30 April & 25 May 1999 with ten birds seen in July of the same year north of Jubail but now appears to be a scarce passage migrant to the Eastern Province. 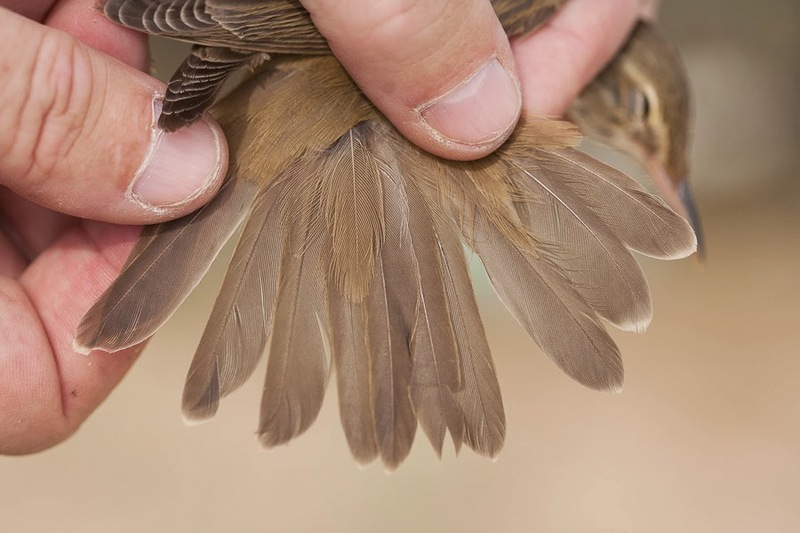 Other Saudi Arabia records include nine birds trapped and ringed during a three week ringing effort in the Riyadh area in autumn 1975 and between 1987-1991 birds were seen on several occasions in April and August-September along the Riyadh River. At least five were in alfalfa fields 25 August 1991 and one was ringed at Thumamah dairy farm 4 September 1991. This species can be quite numerous during falls with hundreds at Thumamah in 1993 and 1994. Tom Tyrant reported that between 16-28 August 1993 whilst driving past an avenue of Casuarina trees at Thumamah KKWRC, an incredible corncrake-like cacophony was heard, and between 100-300 birds seen, but 1000-2000 where estimated as present. They were also present in large numbers in other areas such as Dywidag compound and in bushes near the escarpment and reeds at Thumamah Dairy Farm. On consultation with Peter Symens and discussion with Tim Wacher it realized that these birds were almost certainly Basra Reed-Warblers. Up to five were seen at Thumamah 2-3 & 9 September 1999 with at least 3 there on 18 May 2000 and singles were seen in Al Hair Area, 9 September 1999 and 21 April 2000. They are now regarded as scarce passage migrants through the Riyadh area and can be seen between March and October. In western Saudi Arabia they have been recorded at Taif, Al Birka, near Al Lith in the remains of a Sooty Falcon Falco concolor, along the southern Red Sea coast between Jeddah and Jizan as well as being trapped and ringed on the Farasan Islands. In Jeddah birds were seen in gardens 6 May 2009 & 21-26 August 2010. The status of the species may have changed in Saudi Arabia due to the extensive damage to reed beds in the Mesopotamian marshes (see below) although its status may also be masked by the secretive nature of the species. 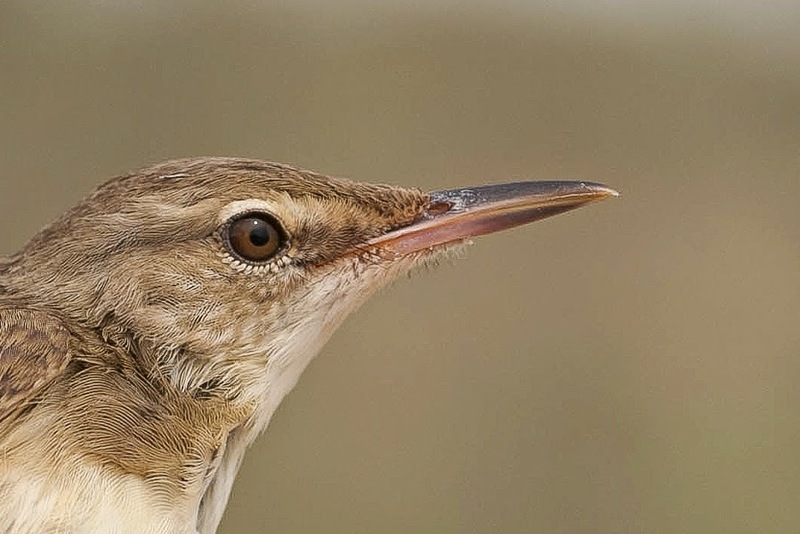 The Basra Reed Warbler is a restricted-range species that breeds in the extensive reed beds of the central and southern marshlands of Iraq, with recent breeding records from Kuwait and Israel and winters as a long-distance migrant in east Africa. 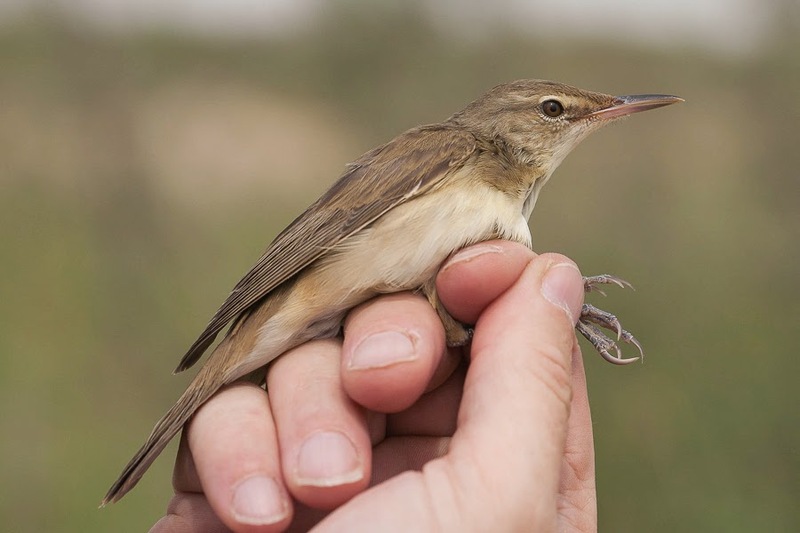 The Iraq-Iran conflict (1980-1988) resulted in extensive damage to reed beds in the Mesopotamian marshes and the drainage of the southern Iraqi marshes resulted in the catastrophic destruction of the Basra Reed Warbler breeding habitat initiating a marked decline in the species’ global population. By 2000 as much as 80% of the breeding habitat had been destroyed, although a change of fortunes between 2003 and 2006 led to 40% of the Iraqi marshes being re-inundated, thus providing suitable wetland habitats again. The Basra Reed Warbler is mainly found in aquatic vegetation around still or slowly moving shallow water. The species typically inhabits large and dense reed beds (Phragmites australis) growing alongside ditches, rivers and waterways, and breeds in the aquatic vegetation including mostly Typha sp. and reed beds, although it forages extensively also in adjacent thickets. Juveniles can be often observed feeding in Typha along the dry edge of the marshes and also in adjacent Tamarix sp. scrub. During the breeding season, adults usually feed on the prominent surfaces of submerged vegetation. 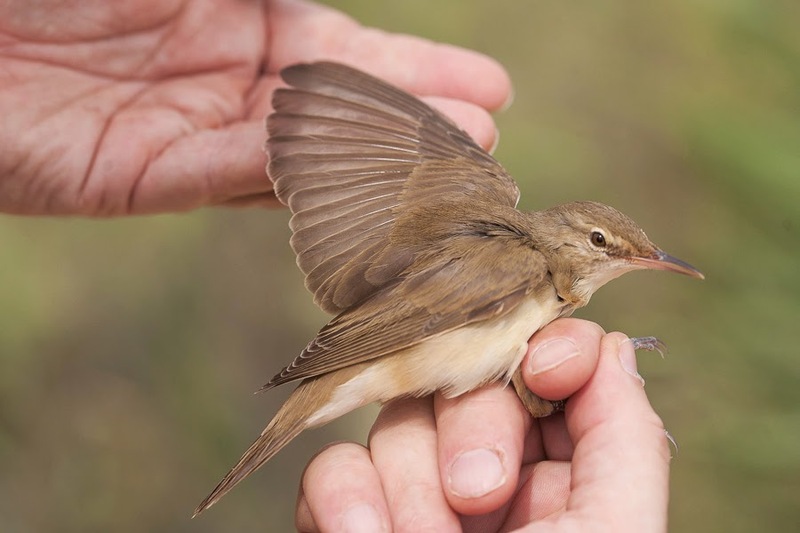 A. griseldis is smaller, and with a slender bill similar to Eurasian Reed Warbler A. scirpaceus, with upperparts more olivaceous grey-brown slightly tinged with rufous when plumage is fresh, than in nominate A. s. scirpaceus. The head is olive brown with a distinct whitish eyebrow and a narrow whitish eye-ring. The underparts are whitish with the sides of breast and flanks suffused creamy-yellow in fresh plumage. Primaries and secondaries blackish-brown with tips narrowly fringed off-white and outer webs fringed olive-brown, the wing coverts olive-brown, underwing-coverts pale buff. 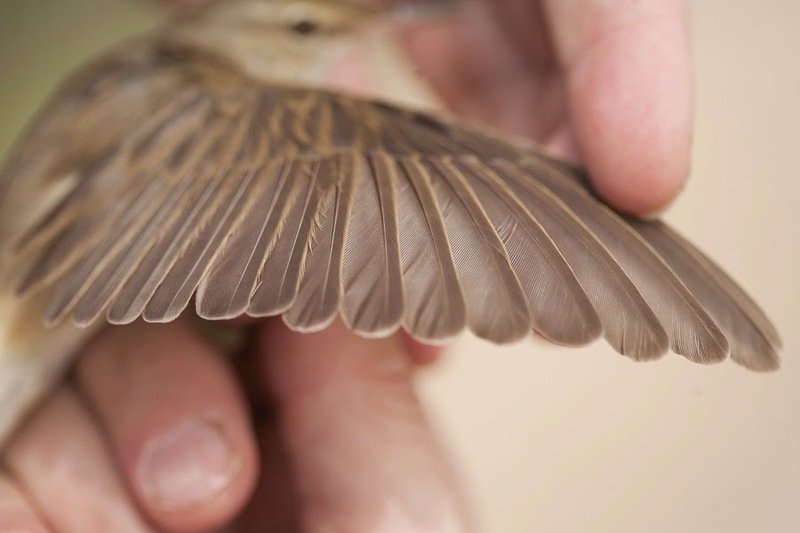 Rectrices are blackish-brown with greyish-white tips in fresh plumage and lacks the pale brown shaft-streaks on the white throat. The bill is horn coloured and the tongue bright yellow with greyish legs & brown iris brown.